For any person who grew up wanting to be a rock 'n' roll legend, this video of a 10-year-old boy rocking out with Foo Fighters will make you insanely jealous. 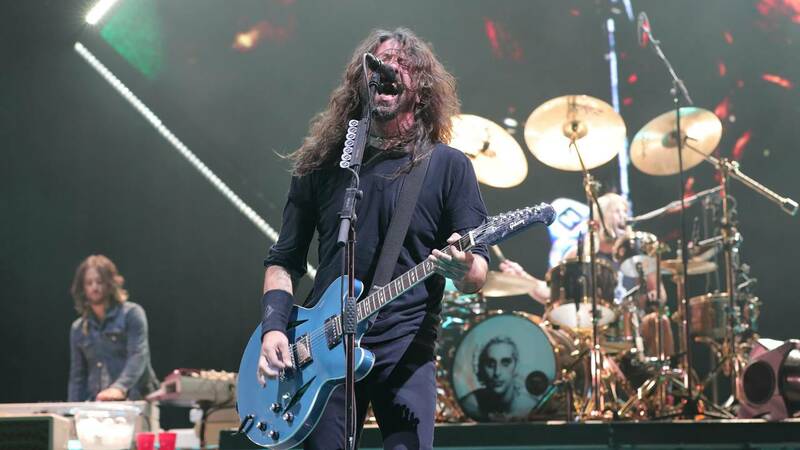 The Foo Fighters recently played a concert in Kansas City, Missouri, when frontman Dave Grohl invited 10-year-old Collier Cash Rule up on stage to jam with the band. In the video posted on YouTube, Grohl asks Collier if he plays guitar, to which Collier replies, "I know a lot of Metallica songs." The crowd goes absolutely crazy, and Collier gears up with Grohl's guitar and jams out the first lick of Metallica's "Enter Sandman." The Foo Fighters join Collier and Grohl hits the mic and all of a sudden the Foo Fighters are covering Metallica with a 10-year-old kid. Collier goes on to play snippets of two more Metallica songs, and by the end of the video Grohl gifts the kid with the guitar that he plays on tour, as long as Collier doesn't sell it on eBay. Check out the video below.